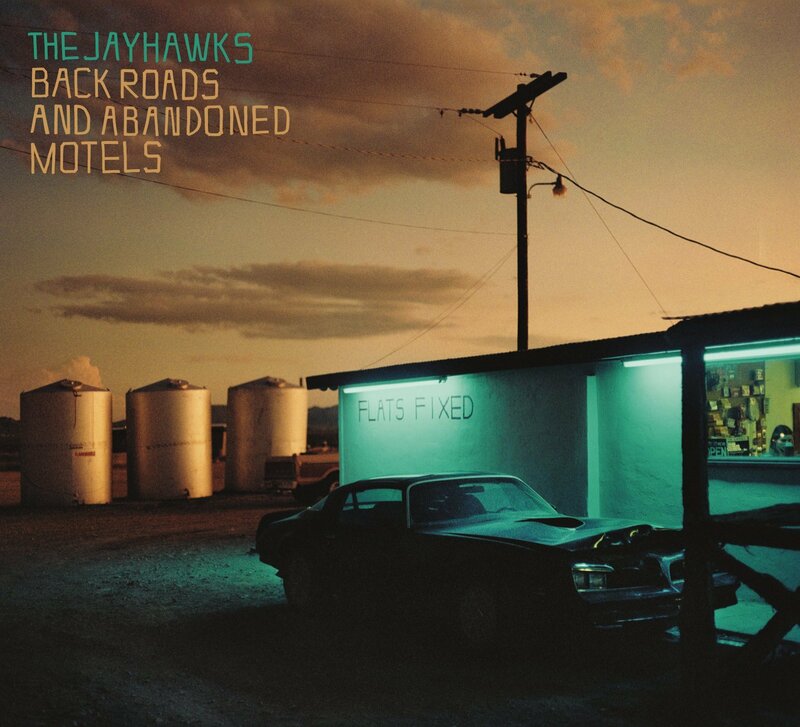 Fire Note Says: The Jayhawks put their own stamp on songs Gary Louris had written with the Dixie Chicks, Jacob Dylan and others, inspiring a return to their own sonic roots. Album Review: If The Jayhawks were a band of equals, and I’m not saying their not, chief songwriter, guitarist and most-likely lead singer Gary Louris would be the most equal. But not only has Louris been the leader of The Jayhawks, but he’s also been a desired collaborator who has co-written songs that have been recorded by the Dixie Chicks, Jakob Dylan, Carie Rodriguez, Ari Hest and others. On Back Roads and Abandoned Motels, Louris has brought those songs back to be recorded by his main band, added two new compositions to the mix. This has been a particularly productive period in the long history of The Jayhawks, who got their start playing around the Twin Cities in Minnesota in 1985. In 2016 they released the Peter Buck and Tucker Martine produced album, Paging Mr. Proust, the next Spring they were the backing band on former Kinks’ leader Ray Davies’ album, Americana, and later in 2017 they were on another album backing singer/songwriter Wesley Stace (also known as John Wesley Harding). Earlier this summer, they released a sequel to the Davies project, Our Country – Americana Act II, and now this collection of Louris’ co-writes, produced by Louris and the band’s newest touring member, John Jackson, a multi-instrumental string player. Given that some Jayhawks fans view early albums like Hollywood Town Hall, and Tomorrow the Green Grass, both of which that were re-issued as collectors editions by Legacy Recordings in 2011, it might feel surprising to suggest that this latest collection of songs, most previously recorded by other artists elsewhere, has that same relaxed folk/rock feel. The secret may be the vocal harmonies, or maybe it’s that they just went in to record their own take on Louris’ songs and knowing that there were other versions recorded by the like of the Chicks, Dylan, and the others, without the pressure of reinventing the wheel. Who knows, but this band has pretty much been together in this formation since 1995, with the one addition of Jackson, and the natural chemistry is obvious. And maybe it’s that other singers have already sung these songs elsewhere, but Louris passes on the lead vocals to Karen Grotberg for “Come Cryin’ to Me,” which showed up on Natalie Maines’ solo album, and “El Dorado,” which was a Carie Rodriquez co-write. Drummer Tim O’Reagan sings lead on “There Will Be Darkness,” which Dylan sang on the True Blood Soundtrack release, but here there and everywhere it’s the vocal harmonies, that mark this as a Jayhawks recording. And then there’s Grotberg’s stately piano playing, Louris’ stylish, melodic guitar solos however brief, and the subtle additions on violin and mandolin by Jackson, that continue to please. Did I mention those vocal harmonies? So, call it alt-country or Americana or country rock, the labels mean less and less, I’m afraid. What matters here and always, are good songs, solid performances and a great band vibe, which inhabits Back Roads and Abandoned Motels.